Day of the Polish Underground State is an annual commemorative day observed in Poland on September 27. It celebrates the creation of Poland's first underground organization during the Second World War. The Polish Underground State (Polskie Państwo Podziemne) is an umbrella tern that refers to Polish underground resistance organizations during the Second World War, which were loyal to the Polish government-in-exile. The first resistance movement in Poland was established shortly after the Nazi invasion. On September 27, 1939, General Juliusz Rómmel created the Service for Poland's victory (Służba Zwycięstwu Polski). Two months later, it was renamed Union of Armed Struggle (Związek Walki Zbrojnej. ZWZ). In 1942, ZWZ was renamed the Home Army. The Underground State encompassed not only military resistance, but also civilian structures, such as social cervices, culture initiatives, and educational institutions. Ultimately, hundreds of thousands of people were involved with the underground resistance in Poland. 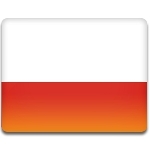 Day of the Polish Underground State was officially introduced in 1998. It is marked with a solemn ceremony held at the Monument to the Polish Underground State and Home Army located in the city of Warsaw, in front of the Polish parliament. This remembrance day is a working holiday.